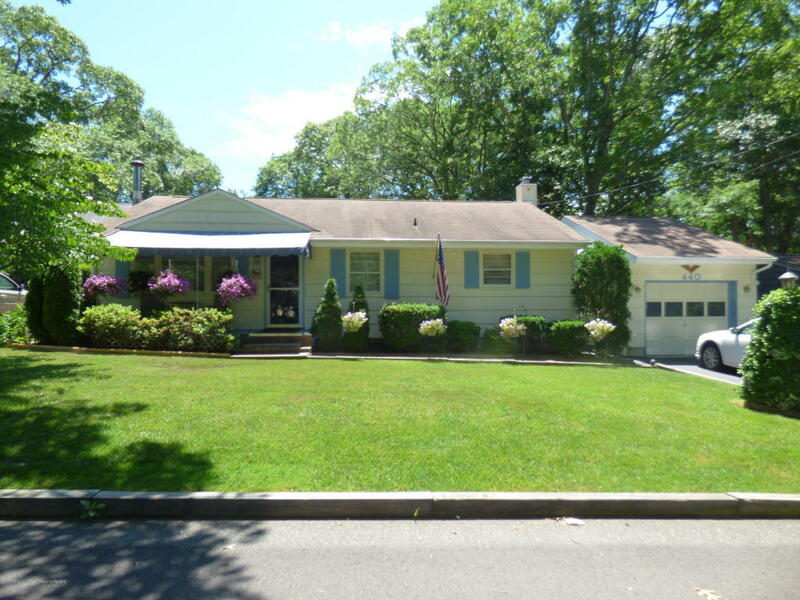 SHARK RIVER HILLS-MAJOR PRICE ADJUSTMENT! Home sweet home! Make an offer on this lovingly maintained and bigger than it looks 3 bedroom 2 full bath ranch with adorable front porch, living room, dining room & kitchen with cute breakfast bar.Then let the party begin! !The finished basement is amazing with pool table, bar, wood burning fireplace, full bath, office/storage area .Enter the back yard and you will feel like you are at a tiki bar in Key West!Get some sun on the private deck, enjoy a quiet cup of coffee or have a BBQ on the patio! This is a serene spot.This is a must see to appreciate home so call today!Long time owners hate to leave this great home. Because of sellers health issues ''AS IS'' sale.